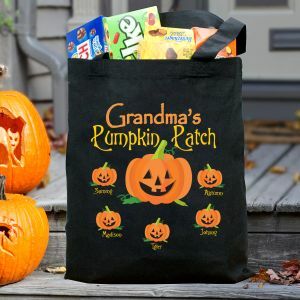 Whether you are attending a Halloween party or going trick-or-treating with the kids, celebrate Halloween in style with our exclusive Pumpkin Patch Personalized Halloween Shirts. Personalize your Halloween Shirt with any title and up to 30 names. 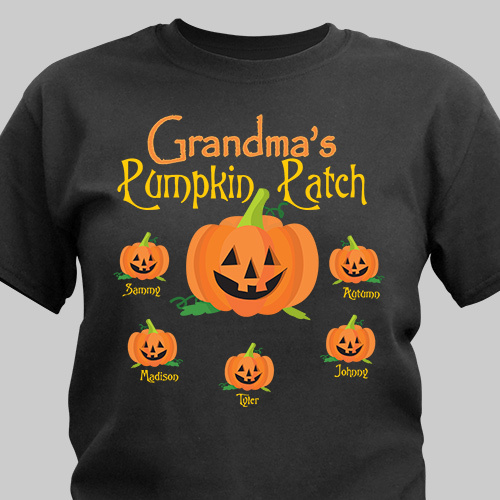 This Personalized Halloween T-Shirt makes a great gift for Mom, Dad and Grandparents! Makes a great gift when paired with our matching coffee mug and tote bag - available once t-shirt is added to cart. great product!! Second one we ordered because of adding a new grandchild ! !